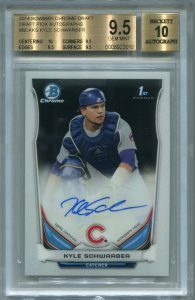 Graded Sports Cards & Memorabilia Blog | Your #1 Source for Graded Sportscards! 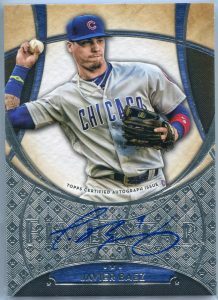 Great new pack-pulled autographs from Chicago Cubs MVP candidate Javier Baez are now in stock and ready for immediate shipment at GradedSports.com. 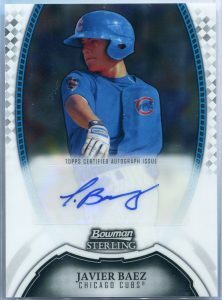 We are buying PSA/DNA, Beckett (BGS/BAS) or SGC graded Javy Baez autographs. 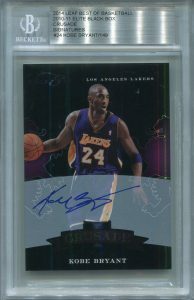 Visit our Sell Your Cards section or ask us how today at info@gradedsports.com. 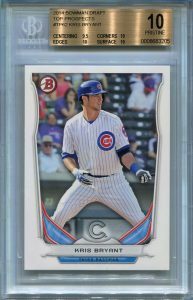 These Kris Bryant BGS 10 Pristine Chicago Cubs Bowman rookies and more are now in stock only at GradedSports.com. 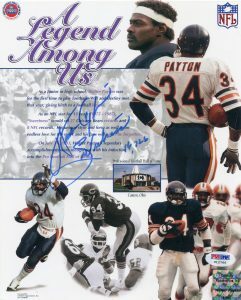 A great selection of PSA/DNA certified authentic autographs, graded sports cards, hall of fame postcards and more have just been loaded for a great non-profit fundraising auction at Bidding For Good including this beautiful autographed 8×10 collage photo of Walter Payton, inscribed “Sweetness 16,726”. 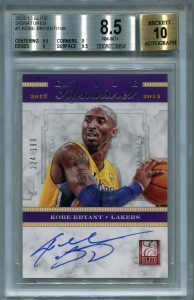 With very low starting bids at least 60% off retail, you don’t want to miss these great auctions ending Wednesday night March 7th at 9:00 PM Central Time. 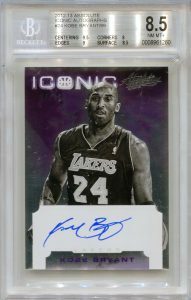 So bid early and often. 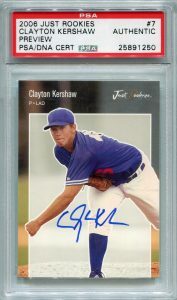 Clayton Kershaw rookies and certified autographs are on fire and a new batch of PSA/DNA and Beckett graded cards of this 3-time Cy Young award winner are now in stock only at GradedSports.com. 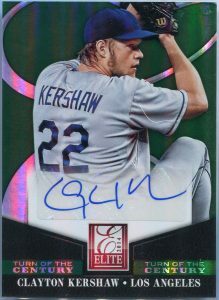 And don’t forget to check out our all-new Pack-Pulled autographs selection. 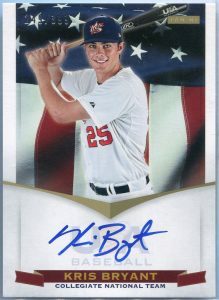 Also just arrived are beautiful new autographed cards from Bryce Harper, Jack Morris, Mike Trout, Greg Norman, David Ortiz, Patrick Kane, Roger Clemens, Kris Bryant, Bo Jackson, Ken Griffey Jr. and more! 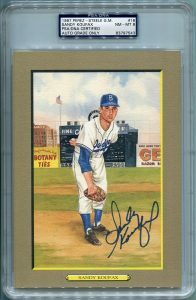 A great new selection of Sandy Koufax autographed postcards are now in stock, only at GradedSports.com. 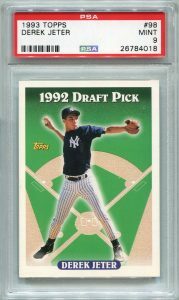 Both Perez-Steele and Hall of Fame Plaque postcards, certified by PSA/DNA and SGC are priced to sell and ready to ship. 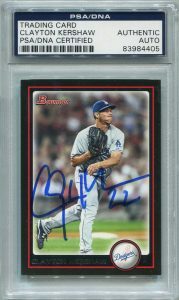 manufacturer inserted certified autographs have just arrived and are priced to move, only at GradedSports.com. 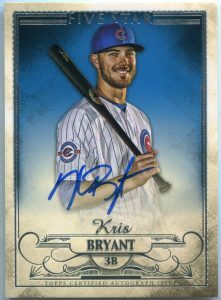 And visit our web store today to see all 200+ new World Champion Chicago Cubs autographs now in stock. 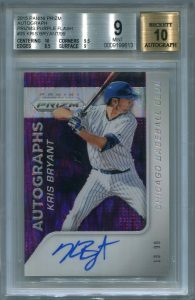 And don’t forget that Graded Sports Cards and Memorabilia is always buying PSA/DNA and Beckett – BGS, BVG and BAS certified authentic autographs. 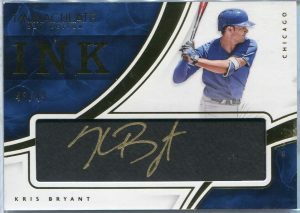 Visit our Sell Your Cards page for more information. 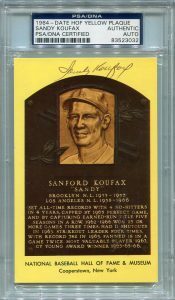 In some cases, we will also gladly buy ungraded Hall of Famer cards from the 1960’s and earlier. Contact us today at info@GradedSports.com for a prompt offer or for more information! 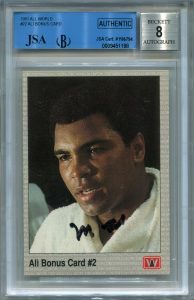 Muhammad Ali boxing autographs aren’t getting any cheaper, but we have just added some new JSA certified authentic examples at very reasonable prices, only at GradedSports.com. 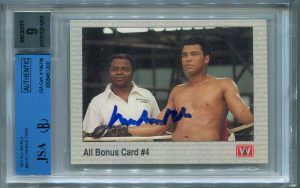 Both new cards are from the 1991 All World Boxing set and have been professionally slabbed by Beckett. 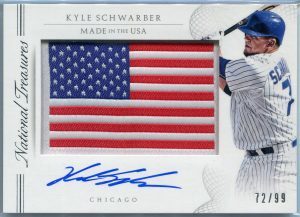 And remember that shipping in the USA to a single address is always FREE on all purchases over $100.00. 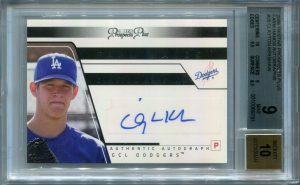 And we are always BUYING great graded cards as well, so check our SELL YOUR CARDS page for great offers on your professionally graded cards. 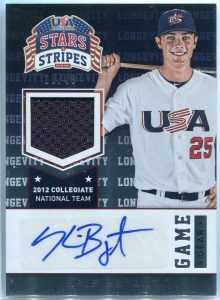 Looking for other sports cards to complete your collection, then SHOP TODAY! 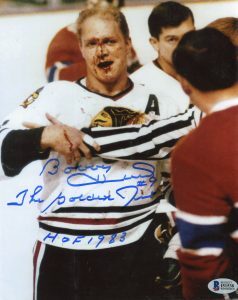 Or visit GradedSports on Amazon. 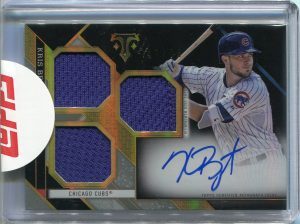 This blazing beauty just arrived today at GradedSports.com. 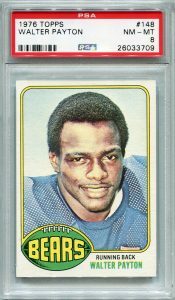 Depending on your vantage point, the 1976 Topps Walter Payton rookie is either a vintage standout or the modern-day standard in football card rookies. 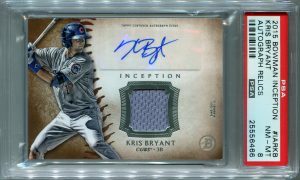 In PSA 8 NM-MT condition, this card is almost certainly guaranteed to never drop in value, so whether you are an experienced investor or just starting out again in the collecting world you can’t go wrong with this one. 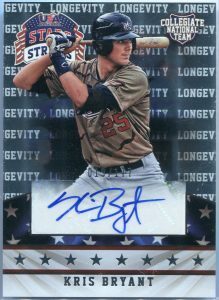 We’ve price it to move fast, so SHOP TODAY! 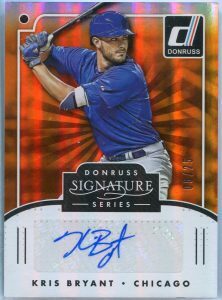 Or to see our entire selection of sports cards and autographs visit GradedSports on Amazon. 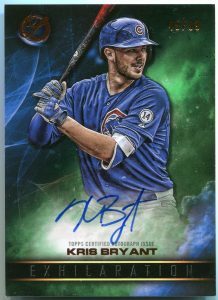 Over 200 great new graded and raw pack-pulled autographs from the 2016 World Series Champion Chicago Cubs are now in stock and ready for shipment at GradedSports.com. 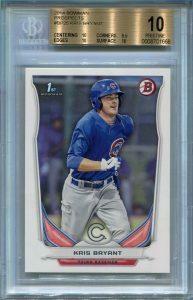 Kris Bryant, Anthony Rizzo, Javier Baez, Willson Contreras, Kyle Schwarber, Albert Almora, Carl Edwards Jr., Jorge Soler and many more. SHOP NOW to beat the holiday rush. And FREE shipping on all orders over $100 to a single U.S. address. 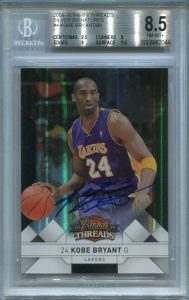 Or view our entire selection of graded sports cards and autographs by visiting GradedSports on Amazon.